A man dreams about trying to prevent a baby from drowning and comes to Reddit Dreams looking for answers. What does it mean? How does he interpret his dream? Had a dream about a week ago where I’m in the ocean trying to keep a baby above the water but struggle to keep it above the surface and can’t tell if the baby is ok or not. Babies are a common dream symbol and the meaning varies. However, a good place to start with any dream character is it represents something about the dreamer. Alternately, it could be used as a prop in the story, or to represent someone the dreamer knows (perhaps someone who acts like a baby or is very sensitive or needy). It could symbolize something intangible such as an idea or subject (such as immaturity or vulnerability). But most dream characters represent something about the dreamer, so the first question is what, if anything, does the baby represent about the dreamer? A way to generate ideas about what an action such as drowning in a dream can mean is to express the same idea with different wording. Another word for drown is “submerge,” and that’s a great word to describe the process of changes in the psyche. The old parts of you submerge to allow the new parts to emerge. But what if you don’t want to let go of something about yourself that’s threatened with submerging? You struggle. You try to save it. Now consider the main action of the dream. The dreamer holds the baby out of the water to prevent it from submerging. Actions in a dream are symbolism. Holding the baby out of the water hints that he’s trying to save something. Since most dream characters represent something about the dreamer, we can form a hypothesis that the dreamer is trying to prevent something about himself, symbolized as the baby, from submerging down into his unconscious mind. He wants to save it. Since it’s represented as a baby, it could be a childlike sense of wonder or just the pure joy at being alive that a happy baby exhibits. This theme arises often in the dreams of adults whose lives are dreary or a constant grind. They lose their spark, their enthusiasm. It’s easy to “throw out the baby with the bathwater” and become a grizzled adult before your time. If you realize you’re losing this essential part of yourself, you’re probably going to fight to keep it alive. Symbolically, that means holding it above the water, preventing it from submerging. We have another detail to consider: the dreamer can’t tell whether the baby is OK. Perhaps it means he needs more self-awareness or clarity. The good sign in this dream is he’s trying to save the baby. Imagine, instead, that he gives up and lets it submerge beneath the waves. What does that say? The most likely answer is, he’s given up the struggle to keep the baby inside himself alive. Back at Reddit Dreams, the dreamer resonates with my suggestion that he’s trying to keep alive his simple joy and awe at life. To resolve the situation he figures out what he can do to keep his “inner child” alive and happy. The simple answer is, get more enjoyment from life. People tend to think of themselves as an “I” when actually the psyche is constructed as a”we,” with the ego as a sort of spokesperson and decision-maker. The psyche has many parts and any or all of them can be represented as dream characters. Do you remember having dreams about various characters all interacting? Those dreams can be a view into internal processes of your mind and body interacting as you sleep and dream. Your head talks with your heart. Your intuition talks with your rationality, and so forth. Everything that you have ever been is alive inside you beneath layers of time. Think back on all the stages of your life. Every stage is still part of you, like a layer with new layers on top and old layers beneath. The term “inner child” is misleading because “inner children” is more accurate. And which of your inner children comes first? 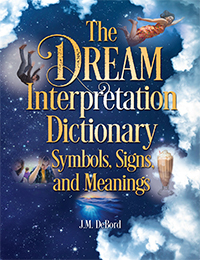 Your all in one reference source for dream interpretation. When children appear in your dreams in scenarios where they are in need, think generally about the needs of a child at that age and how it relates back to you. Very young children need stimulation, comfort, safety. Older children need challenge, guidance, structure. Your inner children depend on you as the adult to provide for their needs. Inner voices that are repressed, suppressed, or ignored speak most dramatically while dreaming. They can even be disruptive to waking life. In this case, the dreamer needs to find a way of growing into adulthood without losing the precious and vital part of himself represented as the baby. Bottom line: in this dream, trying to prevent the baby from drowning shows the dreamer’s effort to save a part of himself from receding. The comforting thought is it never dies. Even if it “goes under” it can revive under the right circumstances. Subscribe to my newsletter and I’ll teach you how to interpret dreams. I’ll teach you how to interpret dreams. Sign up for “We Love Dreams” and your journey starts today. 100% private and for real. I dreamed of lion escapes from the cage and travelled through trees and entered in to my home. Inside my home no one is there but a new born baby.. All the crowd afraid of going inside. I went and saved the child from the lion…. What this dream means. Step back and view the dream as a story. Describe it in simplest terms. A lion that escapes a cage is something powerful that’s let loose. A new baby inside your mom is new life that’s close to you, even inside of you (the house represents you — your body, your life, your mind). Now look at how you react. You save the baby, meaning you want to save something new from something that’s powerful. Lions are often associated with ego and pride. Start there. Is there something new about yourself that you are trying to save from your ego or pride? That’s one way of looking at it. New parts of yourself that are unwelcome by the ego can come under attack from it. However, consider the fact that it’s only presumed that the lion is there to cause trouble. Maybe it was actually there for another reason, such as to protect the baby. The crowd might represent “popular opinion” and you know how popular opinion can be wrong. Try talking with the lion in the dream and asking why it’s there in your house, why it wants out of the cage, what it wants with the baby. It’s a product of your dream and your dream is delivered to you via your imagination, so you can respond to dream with your imagination and gain clues/insights.